Acute Pancreatitis – A Case Study. Firstly, a little background on the pancreas and what it does. The pancreas has many functions, including the production and secretion of digestive enzymes and the production of insulin. Digestive enzymes are critical for food digestion, while insulin aids in the control of blood-sugar levels and the metabolism. Pancreatitis means “inflammation” of the pancreas and acute means “sudden.” When the pancreas becomes inflamed, digestive enzymes (amylase and lipase) that are normally inactive until they reach the small intestine, become active in the pancreas instead—resulting in pain and swelling as the pancreas actually begins to digest itself. There are many suggested causes of acute pancreatitis including: obesity, high-fat diets, endocrine diseases such as hypothyroidism, and various medications or toxins. Even if your dog doesn’t normally eat a high-fat diet, the introduction of a large amount of fatty food all at once can cause acute pancreatitis. We will often see an increase in pancreatitis around Christmas, since many people think a nice way to celebrate is to share their Christmas ham and turkey with their dog. In addition, dogs that get into garbage are much more likely to develop pancreatitis, so be sure to keep your garbage bins out of your dog’s reach! Pancreatitis can occur in any dog, but some breeds are more susceptible to this disease. They include the miniature schnauzer, miniature poodle, and cocker spaniel. Additionally, pancreatitis is more common in middle-age to older dogs, overweight dogs, and females. 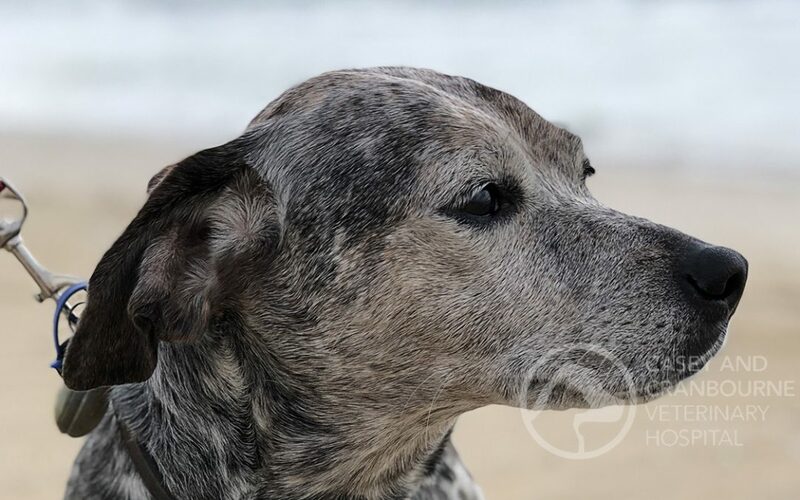 Meet Jetta, an adorable 8 year old Beagle x Staffy x Blue Heeler. Jetta presented to the clinic after an acute episode of profuse vomiting overnight. She was depressed and lethargic and had refused breakfast on the morning of presentation which was definitely out of character. Her diet consisted of supercoat dry food and some tinned food. She had had no access to garbage, compost or other toxins and she was always walked on a lead as being a beagle cross, she would take off following a scent and eat things she shouldn’t. The only change in her diet occurred a couple of days earlier. She was given a different brand of tinned food and she was also given a few pieces of lamb (with the fat cut off). On clinical exam, she had a high temperature of 39.7 degrees (normal is 38-39 degrees), mucous membranes were pink, capillary refill time (crt) 1 second which indicated she was not clinically dehydrated. On abdominal palpation, no intestinal foreign bodies were palpable but she showed mild abdominal pain when palpating the front part of her abdomen (where the pancreas is located). I admitted Jetta to hospital to further investigate the vomiting with an abdominal X-ray and bloods. The abdominal X-ray showed no evidence of a gastro-intestinal foreign body. In house bloods gave me the diagnosis I suspected: PANCREATITIS. Jetta had marked elevation of both pancreatic enzymes. I placed Jetta on intravenous fluids for 36 hours and she was given cerenia (anti-emetic injection) and buprenorphine (pain relief). She was not fed for 24 hours to allow her pancreas to rest. 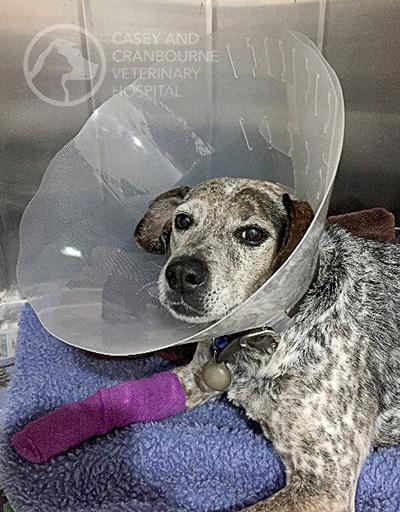 She improved dramatically with fluid therapy, and when allowed to eat again, she was willing to eat cooked skinless chicken and gastrointestinal low fat dry food and had no further vomiting. Before removing the IV fluid line, I repeated her blood test. Given her pancreatic enzymes were back to normal, I was happy to send Jetta home with Gastrointestinal Low Fat dry food and recommended not to feed her any canned food or table scraps. Acute Pancreatitis is a condition generally triggered by eating fatty foods. Jetta was only given a few pieces of lamb and the canned food offered was different so perhaps had a higher fat content. Unfortunately for Jetta, this combination appears to have been enough to trigger a bout of pancreatitis. It just goes to show that for some dogs, being fed something with a slightly higher fat content to what they are used to can be enough to trigger a bout of pancreatitis. Being aware of what constitutes ‘fatty foods’ will help reduce the risk of your dog developing pancreatitis. If you choose to feed meat, always choose lean meats and feed ‘skinless’ chicken (ie cut all the skin and fat off chicken before cooking it). If you choose to feed bones for dental health (always raw bones, not cooked), trim off as much fat as possible and don’t buy bones that have been cut down the middle exposing the bone marrow as although very tasty, this is particularly high in fat. Acute pancreatitis can be mild or severe. In cases requiring hospitalisation, it’s usually treatable with 2-3 days of fluid therapy but if left undiagnosed or untreated, acute pancreatitis can be life threatening. 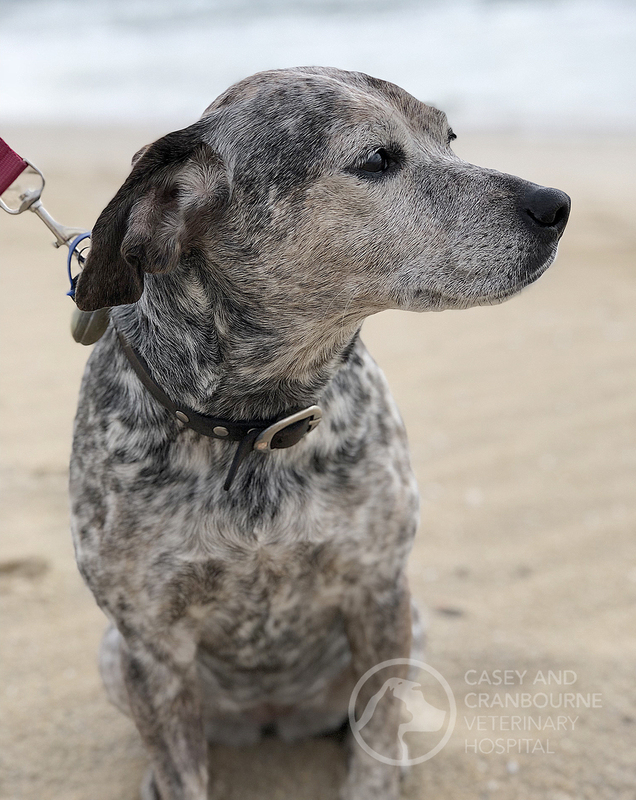 If you suspect your animal has pancreatitis, or if you have any concerns regarding your pets health, please contact Casey and Cranbourne Veterinary Hospital.